Our Wedding Anniversary is actually in December, but we usually plan a big trip in September or October to celebrate early (once we did it in January as well). This past week for our anniversary, we went to Washington D.C. There was an aquarium conference being held there that Michael wanted to go to, so we went a couple days early to see the city and celebrate our anniversary. We walked around the Zoo, which felt like a big park that had animals in it. The pandas were unfortunately not out but it was for the best reason! They had a cub born in August! We toured the White House. We had a secret service tour guide. The security was crazy. It was amazing that while we were touring these rooms, other people in other rooms were making decisions for the country. On our tour, some of the chefs from the White House Kitchen were there with visiting chefs. So, not only did we here from our official tour guide, we also had a second unofficial tour guide with us we well. I loved seeing all the different presidential china, most of it pretty simple. Then, we walked from the Lincoln Memorial to the Washington Monument. We walked by the Korean War Memorial, which was important to me because my grandpa, who just passed recently, was a Korean War Veteran. The Lincoln Memorial was one of Michael’s favorites. The Abraham Lincoln statue was huge! On either side were two of his speeches. I was in awe of how much history was here. Reading these speeches, I couldn’t help thinking about Martin Luther King, Jr making his speech from here as well. Toured the Smithsonian Natural History Museum and the Air and Space Museum. My favorite part was the Hope Diamond display. The setting was gorgeous! There was also a live coral reef there as well, though it wasn’t as impressive compared to a dedicated aquarium, but it was cool to be among the rest of the displays. Between the two museums, we saw the Capitol, which was under construction. At the Air and Space Museum, Michael liked the drones, and I thought being able to touch a lunar rock was pretty neat. We also ate at a few neat places. We tried to stay local. So the first night, we went to Georgetown, which is a beautiful area. We ate at a local burger place called the Good Stuff Eatery, which were known for their shakes, but we ate their burgers. They were okay. The fries were crispy. But we passed on the shakes because we went across the street for DC cupcakes, or Georgetown cupcakes as they were known locally. I had a coconut chocolate cupcake that had the perfect balance of coconut to chocolate. However, I didn’t like the peanut butter chocolate cupcake. Still, it was a pretty good night of food. The next night, we ate at a restaurant close to the hotel called Hot and Juicy, a seafood sports bar. It was a little more upscale than a normal sports bar. I had crawfish and it came in a boil bag with its seasoning. I tried the Hot and Juicy seasoning and it was so good! And we smelled their food every time we walked from the hotel to the metro. It was mouthwatering and the wait staff was friendly and helpful. The other close restaurant to the hotel where we had dinner was called Open City. They served breakfast all day, which Michael took advantage of, while I had a chicken burger with guacamole. It was really good too! I could see why this restaurant was a neighborhood favorite! Most of the rest of our trip, we ate out of the hotel, but we did manage two other local restaurants. 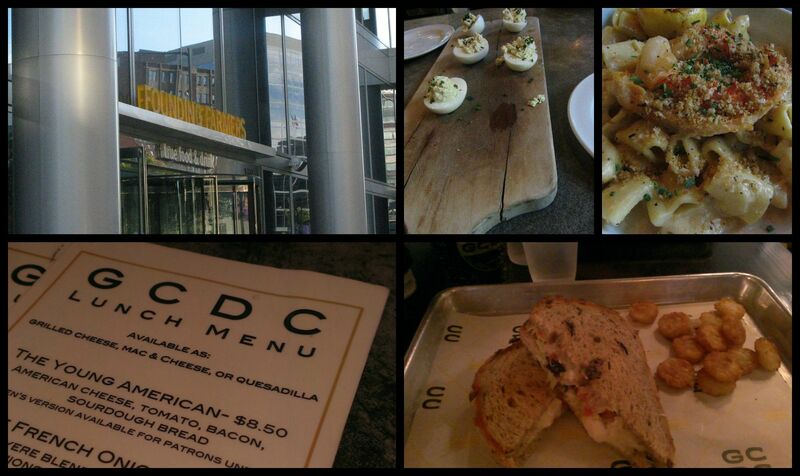 GCDC is an upscale grilled cheese restaurant. I had the Mediterranean grilled cheese, and it was delish! Then, on our last night in the city, we ate at Founding Farmers. The wait was an hour and a half, but we managed to get seats at the bar in about 15 or 20 minutes. I had the lobster mac and cheese which was phenomenal. We also got devil-ish eggs which were really good as well. This city was overwhelming with history that changed the course of our country many times. It was an incredible adventure. We didn’t have time to see everything, but what we were able to see was incredible. Hopefully, we will be back someday for another adventure! Have you been to D.C.? Did you take a tour? Did you have a favorite local spot to eat? Next Post Foster Number Five! 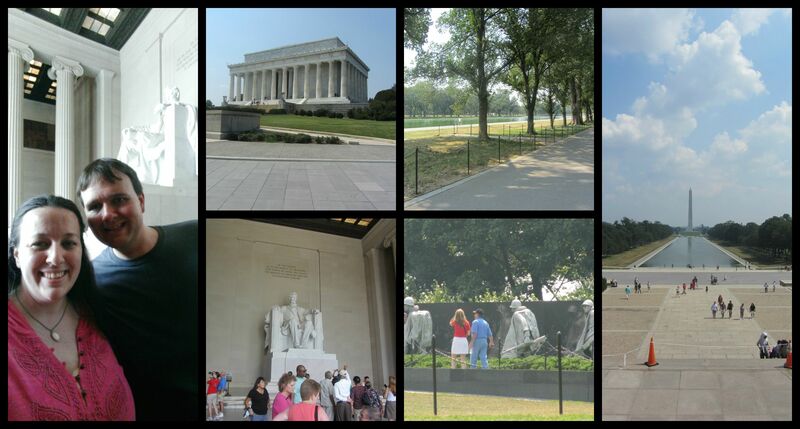 I went to D.C. and the surrounding area a few years ago and LOVED it! It’s such an interesting place. If you ever go back to D.C. or near it I definitely recommend checking out Mount Vernon! Looks like a great trip! I used to go there on day trips with my parents growing up, but haven’t been much as an adult. I loved the Smithsonian when I was little!